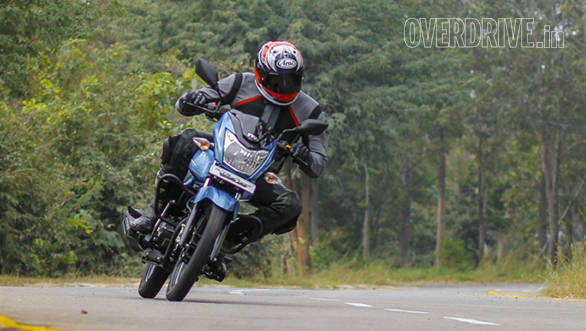 It's not a very easy segment to crack, the 110cc commuter motorcycle segment. It is a segment where value and brand image form a very delicate balance that, if not gotten just right, can completely destroy the prospects of a new product. And it is into this segment that TVS are diving headlong with their new Victor. For starters, it looks nothing like the old motorcycle. Gone are the straightforward lines and the lack of curves. The Victor now brings a more contemporary design philosophy to the table. Pinched edges and character lines run across the sides of the motorcycle. However, no matter how radical a departure this is from the design of the older motorcycle, it is still not a design that will stand out among the large number of 110cc commuters around. And like most of these commuters, even the ergonomics have been designed keeping in mind comfort as the primary prerequisite. The new TVS Victor 110 comes loaded with a lot of kit. It gets a front disc brake  something that isn't very common in this segment. It also gets a nice analog tachometer with a digital speedo, digital fuel gauge and digital trip and odometers. The Victor also gets hazard lights, the switch of which can be found in place of the engine ignition switch. The seat is nice and roomy, the pegs aren't rearset and the handlebar reach is just right. We were hoping that TVS would up the displacement to 125cc with the new Victor. However, they have decided to stay with a 110cc displacement. But what TVS do promise with the new three-valve engine is the efficiency and smoothness of a 110 with the power of a 125. 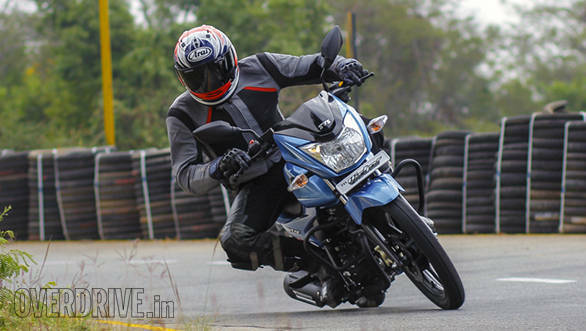 TVS say that the engine makes 9.6PS and 9.4Nm of torque. TVS claims that the bike can hit 60kmph in 7.2 seconds, which is pretty quick, while delivering a fuel efficiency of 76kmpl. The engine itself is from TVS' Ecothrust series of engines. In the Victor, the motor gets several changes to improve power and refinement. It has a bigger CV carburettor, higher capacity air filter, an intelligent ignition system that chafes ignition timing according to load conditions and even an exhaust system that has been tuned to suit the motorcycle. To improve refinement, the TVS Victor uses a silent cam chain, a unique oil-cooled combustion chamber and spring loaded rocker arms that help reduce tappet noise. In real life, the Victor is a super refined motorcycle to ride. There are no vibrations that come from anywhere at up to low highway speeds. Near and above 80kmph though, there are some vibrations that creep in from the handlebars and footpegs. But being an urban runabout, this isn't much to worry about. It has lots of low down torque and it pulls cleanly from under 20kmph in third gear and from 20kmph in fourth. And when I say that, I mean that despite the slow speed, the engine does not knock even once. We managed to hit a top indicated speed of 94kmph on the test track but anything beyond that was difficult. The Victor is built on a new tubular steel frame that uses the engine as a stressed member. 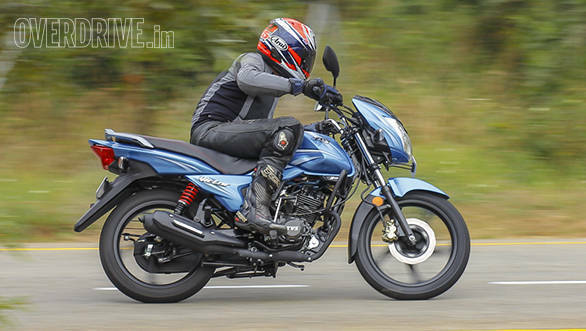 It runs a conventional fork up front with two Series hydraulic shock absorbers at the rear. It handles very well and is quick to turn into corners. It doesn't get too unsettled over bumps even if you're riding enthusiastically. The TVS Remora tyres that it comes with are said to be low rolling resistance tyres that deliver excellent wet grip. In actual use, they hold up pretty well and you can corner the motorcycle really hard without losing grip. But where the Victor loses out, is ride quality. 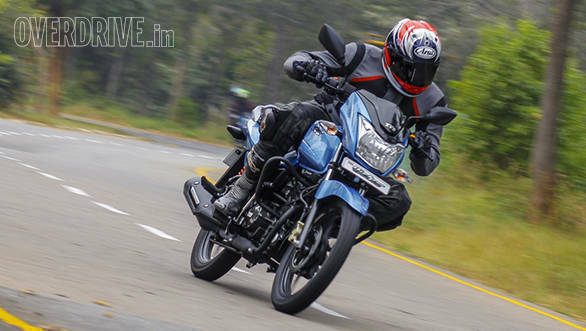 It is set up towards the stiffer side and the ride quality over bumpy roads is a bit harsh. It isn't back breaking, but it is stiff. In fact, over badly broken roads, the only time the suspension absorbs everything completely is when you're chugging along at around 10kmph. Anything above is met with stiffness. What we really liked is that the bike now gets a disc brake up front. It might not be the best unit when it comes to feel, but it does do an excellent job of bringing the bike to a stop. The Victor, then, is a nice motorcycle. 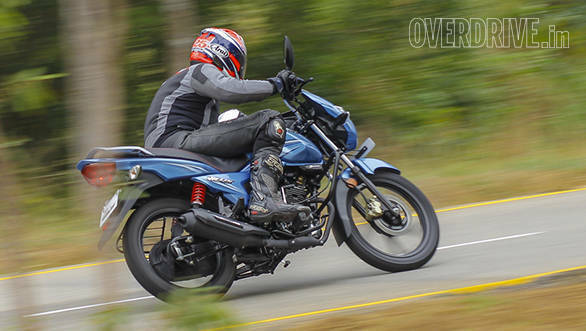 Is it the best 110cc commuter out there? We'll have to do a comparison test and find out. But what we do know is that TVS are banking on the emotional connection that the old Victor had to drive a lot of the sales. The problem, we feel, is that with looks that don't stand out in the crowd, the Victor might just get lost in it. TVS do say that the target customer is someone who wants to stand out and not stick out  something that they have worked towards all the way through this project. Regardless, the new TVS Victor is a refined, peppy motorcycle and is quite handsome too. We only wish, it was offered in that matte grey that the Star City is offered in. It might make the whole bike feel a bit more special.